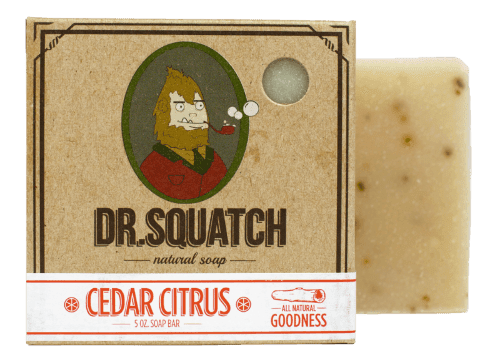 Once upon a time, the Dr. Squatch Soap Company was Sasquatch and we understood that. These incredible soaps are for men, some of whom have to be pretty hairy. This is how the male body can be, or so we are told. Now, these awesome soaps are still the same incredible brand and product. They simply have a different name. We still love them. We just prefer the old name. However, one must evolve to grow, stay in step and progress. We know this. We do. Comprised of oils (coconut, hemp, non-GMO soy, olive), shea butter lye and fragrance. Bay Rum smells of Pine trees, cinnamon and citrus. This is a well-balanced bar. Seriously, we want to eat it. But, we will not. This one is our favorite, as we are a freak for the aroma of Cedar. We burn it every Winter in the fireplace. Now, we can nose it, from the comfort of our shower. It's excellent for combination skin too. This is supposed to smell like, "Irish Spring." However, we gently disagree, as we believe that, "Irish Spring," is entirely too odoriferous in an unpleasant manner. We much prefer Dr. Squatch's version. It's a whitish-yellowish color with a green hue weaving in and out of it. It smells great. Of course. It's also excellent for combination-type skin. This one boasts the tale of a sea-faring goat, who, victoriously returned from a sea-venture to bring us this incredible smell and while we appreciate the creativity of such a scene, we contend that goat's are entirely too cute to send out to sea. Plus, this one contains oatmeal, which (somehow) adds to the beauty and mystery of an enchanted aroma! This one is speckled too. We like that! We already liked Eucalyptus. There's also oatmeal up in it! Ye-ah. Top that of with the fact that this soap bar is excellent for dry or sensitive skin and we are there! You can also shave with it. Sweet. We cannot believe that these soaps are pitched to men when we love them! This one has a subtle, earthy musk with hints of cocoa and sea salt. It's delightful! This is a black bar of soap, comprised of a natural pine tar oil mix. Using it is truly like bathing in a forest of Evergreens. Seriously. We loved it! It retails for $6.00. Spearmint is always enchanting for the skin and this bar soap is no different! 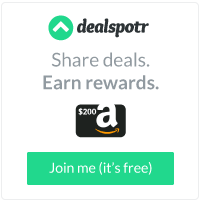 In fact, you are warned (on the web site) that after having showered with this, that you might be mistaken for a scholar or distinguished gentleman. Man! How long would one have to front to keep this up? Nevertheless, we love its speckled goodness. All of the bars are a five ounce size and packaged as shown. They retail for $6.00 and can be purchased on the Dr. Squatch web site.